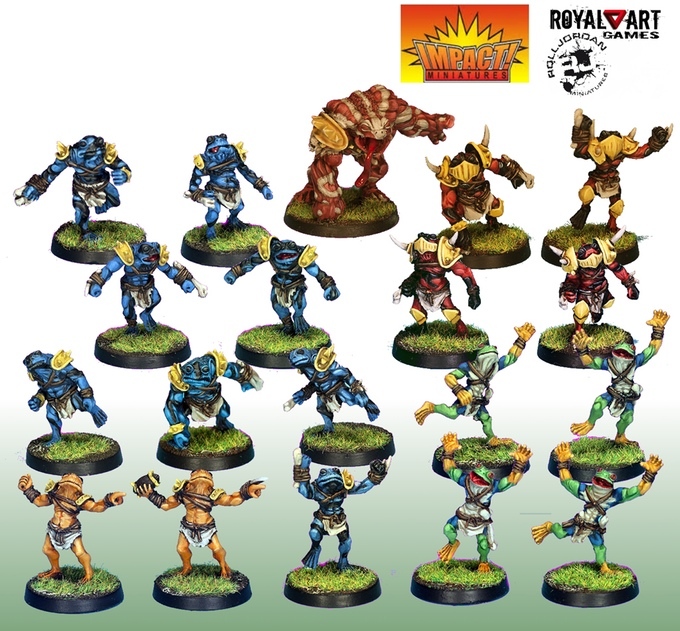 Who else here is looking forward to the re-release of Blood Bowl? I know I am. But what if you don't want to use one of the teams that comes with the official re-release? Thankfully, there's plenty of options out there for alternate teams and RollJordan and Impact! Miniatures are giving you another two to choose from over on Kickstarter. 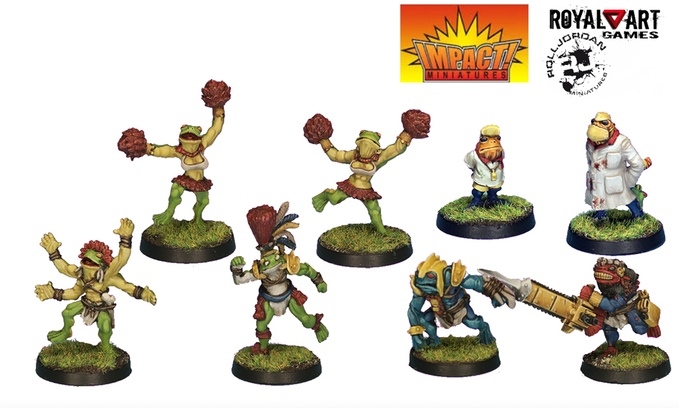 They are the Silvania Elf and Frog Fantasy Football teams. So whether you want some lithe, comely elves or some frogmen, you've got your pick. There's even team extras like cheerleaders, coaches, and MVPs. The campaign's over 3x funded with still 17 days left on the clock.